I am part of the Wilden sales team as of 2013. I was a licensed Realtor in town and wanted a change and this was exactly the change I was looking for. 2. 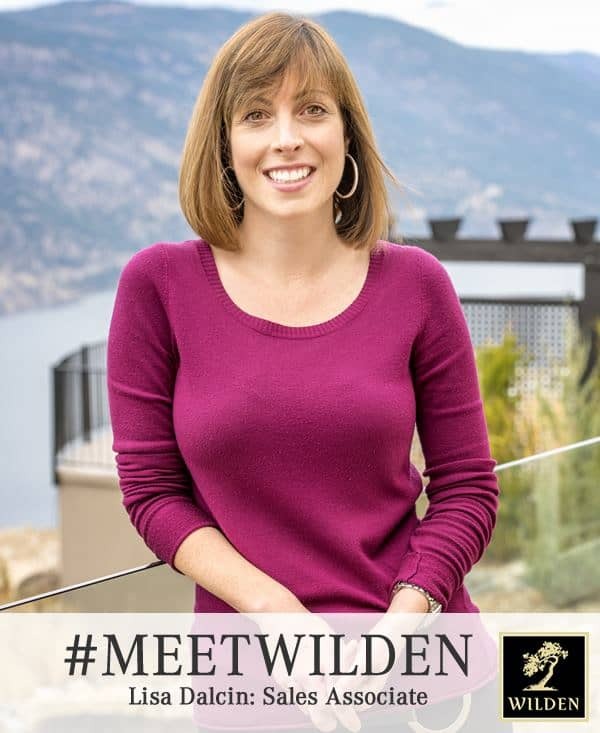 What are some of your favourite things about working for Wilden? The staff is great and it’s nice to work somewhere that is so respected in the community. 3. What is your secret super power? If I told you, I would have to kill you! 4. What are some of your favourite ways to relax and play in the Okanagan? I enjoy going for hikes in Wilden, snowshoeing, skiing, horseback riding and anything that involves being with family and friends. 5. If you were to build your dream house in Wilden, what are some must-haves you would include?His and her closets, an infinity pool with a large outdoor entertaining area, a gourmet kitchen and a floor to ceiling real wood burning rock fireplace. I’m actually 89 years old….shhhh! Joon’s Kitchen on Tutt Street is a great place for sushi.